When I adopted my cat Buca from a city shelter, I signed a contract in good faith to keep her indoors. After all, the shelter had saved her life, and I promised to protect her. After several years as an indoor-only cat, Buca decided she wanted time outside, and she made her wishes known in potent ways. However, cats pose considerable risks to themselves and other animals when allowed to roam freely, so I decided to provide Buca with an enclosed area where she could enjoy the outdoors without the risks. 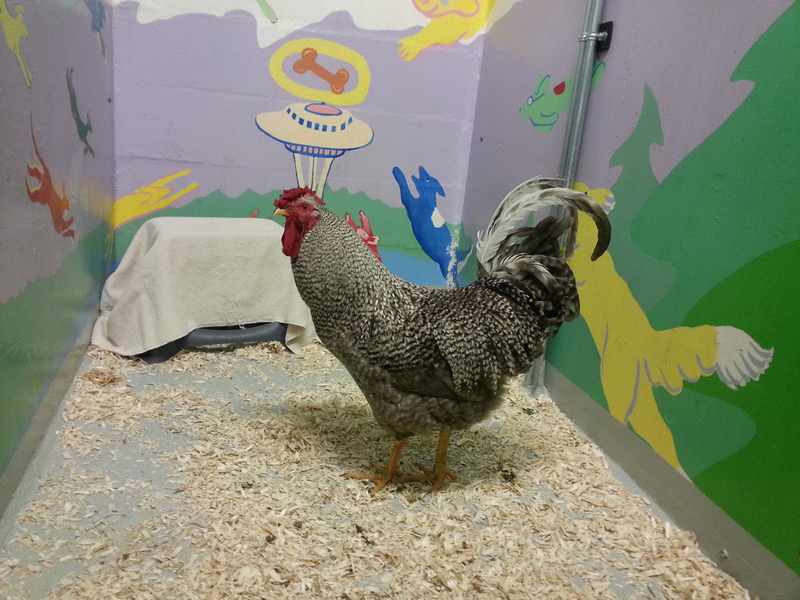 Cat enclosures are highly recommended by local shelters. Otherwise, free-roaming cats can be hit by cars; attacked by wild animals, dogs or other cats; eat poisonous plants; inadvertently get caught in a neighbor’s garage; catch fleas, ear mites or ring worm; or be kidnapped and go missing without any explanation. Furthermore, free-roaming cats impact the environment by killing songbirds or native small mammals and defecating in neighborhood gardens. 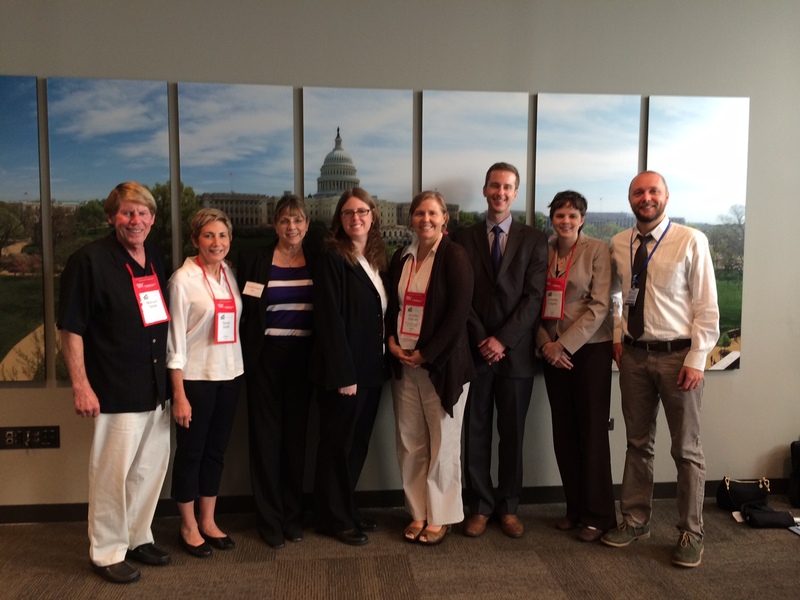 Providing cats with outdoor access in enclosures ensures we are good cat owners and good neighbors, explains Jennifer Hillman, Western Region director for The Humane Society of the United States. 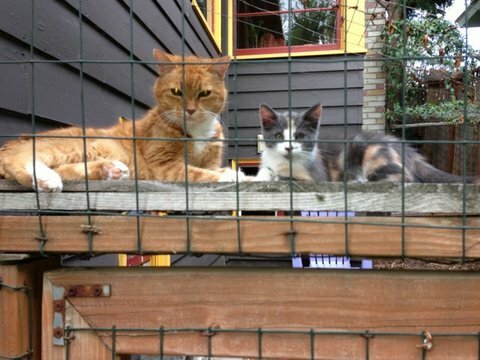 “It means being responsible for wildlife, responsible for community space and responsible for the safety of our cats,” said Hillman, whose five happy cats enjoy a spacious cat enclosure built along the side of her North Seattle home. Hillman built the enclosure when she moved to the neighborhood a decade ago and decided to bring her once free-roaming cats indoors. As a new neighbor, she did not want her cats digging in neighborhood vegetable patches, and she had some traumatic experiences with her cats catching wild birds. Hillman said her cats seemed to easily acclimate to using an enclosure, possibly because she built it just before the rainy season and the cats were not inclined to go out anyway. She explains that the secret is to provide enrichment in the enclosure, such as stumps to scratch on, platforms to jump around on and trees to climb. Hillman’s enclosure even has cat tunnels between upper and lower sections. 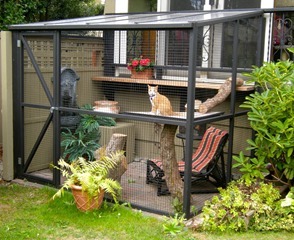 Cat enclosures can easily be built with a little help on the design. 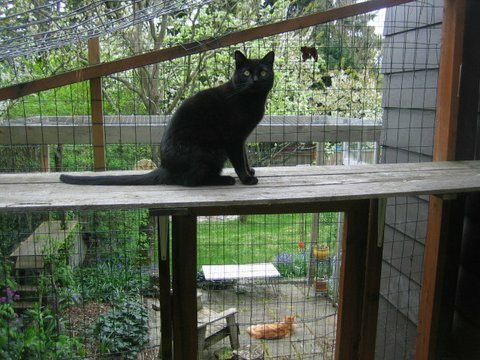 Ingrid Gordon of West Seattle seeks to share how feasible cat enclosures are to build onto any home. On her Facebook page for Creative Cat Enclosures, Gordon posts videos of her cat enclosures, and she gives ideas and advice on how to plan and build your own. Additionally, Gordon and her friend Stephanie Hillman have volunteered their time to help fellow residents build enclosures for the safety of local cats. 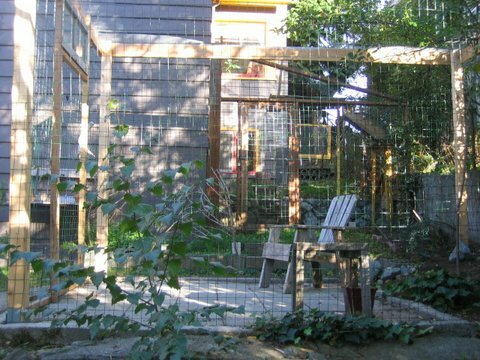 They also built Stephanie’s cat enclosure in Ballard. 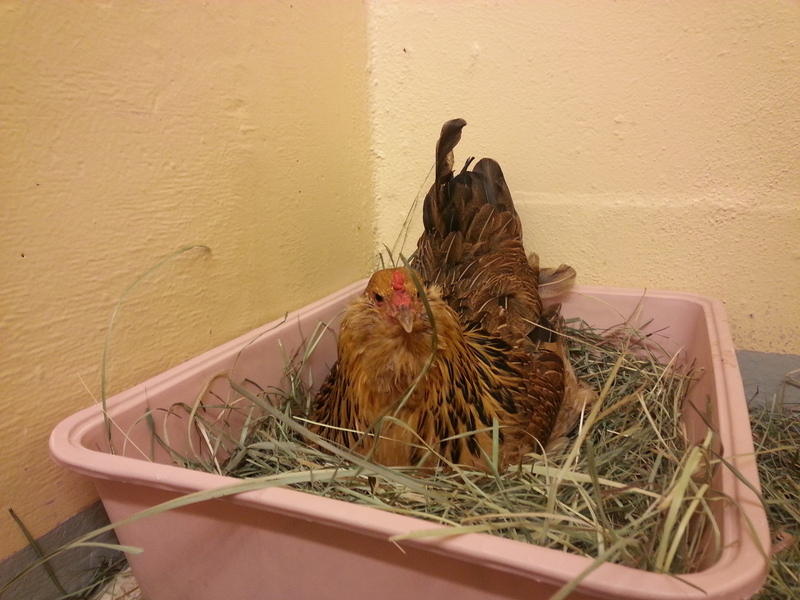 Gordan explains her enclosure provides her peace of mind, knowing her cats will be safe while she is away. Meanwhile, her cats get time outside watching bugs and birds whenever they wish. Seattle resident Cynthia Chomos had the same concerns for her cat, Serena, a female orange tabby with a tranquil presence. When Chomos adopted Serena just more than a year ago, she saw the need to protect her with a cat enclosure — but one that Chomos and Serena could share. Chomos is a certified Feng Shui consultant and color designer, which made her uniquely qualified to design outdoor spaces for cats and people to enjoy together. As a new addition to her consulting services, Chomos runs a small business designing and building custom cat enclosures called “catios”; hence, the name of her business, Catio Spaces (www.catiospaces.com). Chomos works to design the enclosure to visually complement the home’s exterior, and she can specifically design and decorate the catio to meet the resident cats’ needs and likes. At her Ballard home, Chomos has two cat enclosures: a “window-box veranda” outside her office, and a large, ”garden sanctuary” catio in her backyard that she and Serena share. Both spaces incorporate the design principles of Feng Shui to make the spaces restful yet stimulating. And since catio structures are a modification to the house itself, Chomos is a licensed and bonded contractor qualified to complete the work with her team of carpenters. There are many good reasons to keep cats indoors, and the options for creating an enclosure are nearly as diverse as cats themselves. 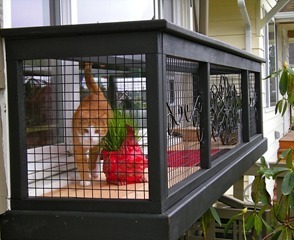 A simple add-on wire structure with plenty of enclosed space, a sturdy window box or a built-in structure such as a catio can all be successful by providing the cat with plenty of enrichment, with grass, a fountain, tunnels or walkways or a sunny place to safely watch the birds. Your own peace of mind and the joys of keeping cats healthy are worth the investment of time, creative energy and money to create a cat enclosure. For more about keeping happy, indoor cats, visit www.humanesociety.org/animals/cats/tips/cat_happy_indoors.html.